So i’m sitting on the wooden deck of a big metal trailer on the mesa west of Taos, NM. About 4 miles from the massive Rio Grande gorge, which we happened to check out for sunrise this morning. It’s mid-afternoon now and all I hear are the faint sounds of people doing construction and the nearby highway 64. The views are astounding. To the east is the stretch of mountains that make Taos what it is. There’s still a little bit of snow on the shadowy tip of the highest peak, holding on for dear life as the summer heat inevitably creeps in above the tree line. Where we are at 7,500 feet it feels like we’re in the mountains, but it still has a slight desert vibe to it. There’s a deserty sage-filled plain all across the mesa on either side of the river, and it’s beautiful. It must get nasty here in the winter. I wonder what it must have been like to be a pioneer crossing these plains for the first time on the way to the west coast, trying to find a route, a pathway across the massive expanse that is the american west. On the road into Taos. Christopher, our glorious trailer @ Hotel Luna Mystica. The Rio Grande Gorge, taken from the Gorge Bridge. I’m excited to be here. 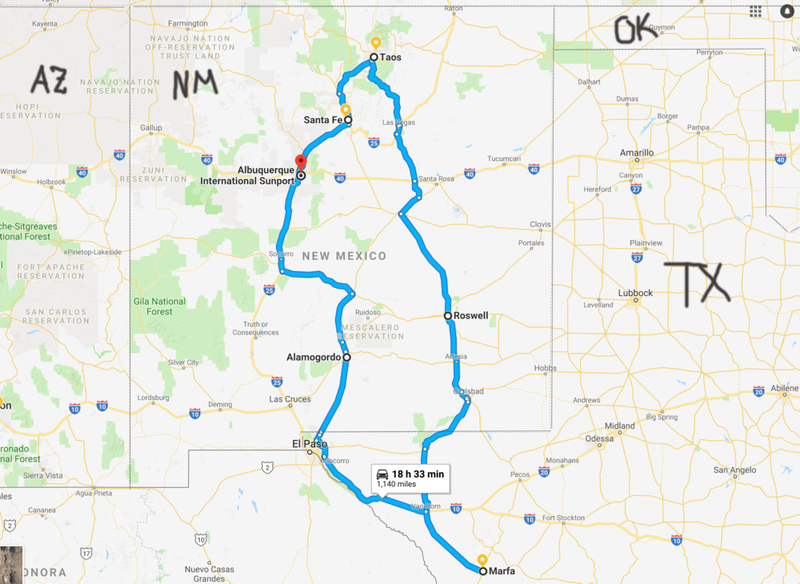 It’s now our fourth day on the road trip that started in Albuquerque where we flew in, then to Santa Fe (and of course the random surrounding areas: Los Alamos, Bandelier state park, tent rocks, georgia o’keefe’s home, the white place, to name a few), and then Taos. We're heading to Roswell, NM, for a short peek at the alien madness ~ then onto Marfa, Texas for a few days. We also saw Los Alamos, NM. The military took over an all-boys boarding school in early 1943 to bring in a bunch of civilian scientists and develop the atom bomb. This history was also crazy for a number of reasons. First, unlike many people casually think, the bomb wasn’t actually detonated there, it was detonated in the white sands desert about 120 miles south of Los Alamos. Second, some of the scientists were wary of making such a colossal device of destruction and even met often in the project to consider stopping their work. I still have a lot to learn, but for good reason, it seems their worries came true the moment the Enoly Gay dropped the first bomb, dubbed “little boy” - a uranium device on Hiroshima, and then the second, “fat man”, a plutonium implosion device on Nagasaki. It’s a hard history to swallow. But it’s hard to imagine what it must have been like during the war and considering the options for ending it. What would have happened had we not dropped the bomb? After a week deep into this trip, I realize how curious I get about the world around me. I open my eyes to it. Rather than thinking about my life and the stresses that overtake it, I’ve been learning about the towns I pass through and finding myself thinking about how they came to be, or how the areas around it were formed. Ok, Marfa. I'm getting there. Marfa: the legendary art community in the middle of the west Texas desert. It really is a gem. Something I’ve never experienced before. 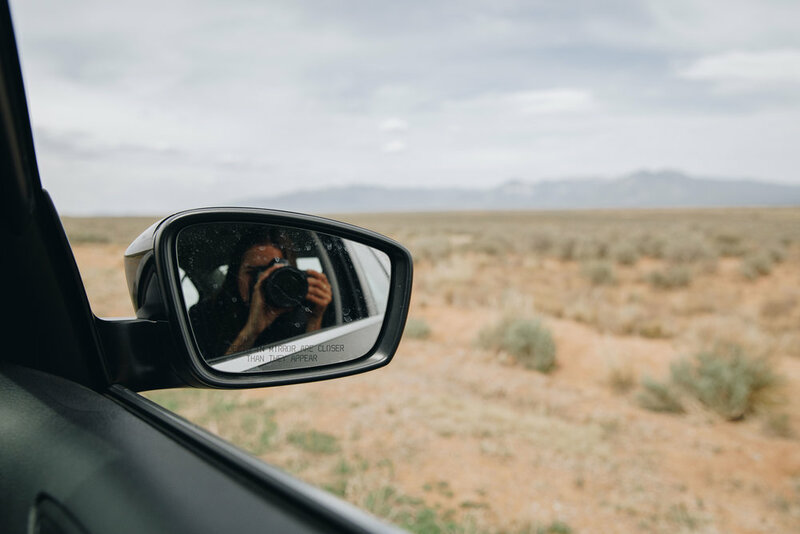 Even before we got here, coming from the north you drive through this incredible corridor of desert peaks and mesas, even skirting Guadeloupe National Park, before diving down thousands of feet to the valley floor on the way through ranch lands. 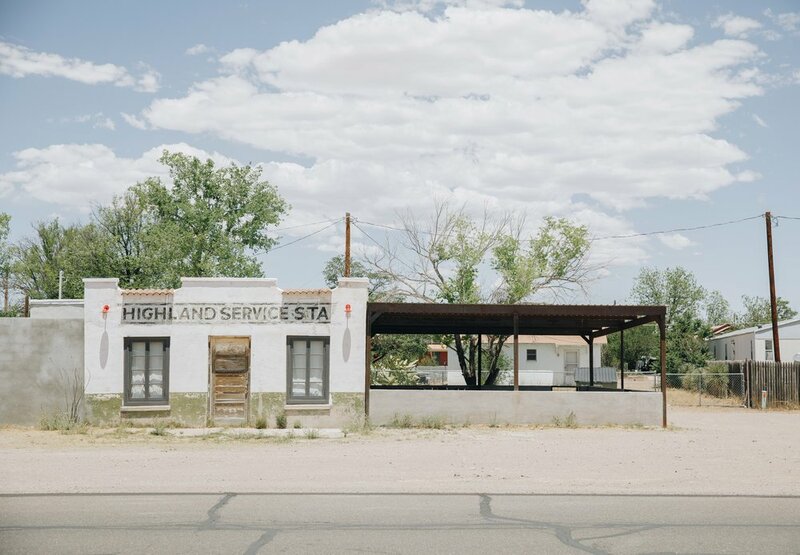 Situated almost two hours from anything, like a town or a highway or another person, is Marfa. It’s a little town like the town in Oklahoma I grew up in, in a lot of ways. Mostly agriculture and trades industries, old brick buildings and a big, beautiful courthouse in the center of town. Only one red blinking light divides the town up into quartiles. Mostly neighborhoods lie all around the town center.